Nephrite is a magnesium and calcium silicate with an interlocking fibrous structure that gives it extreme toughness. It is a member of the Tremolite/Actinolite Series in the Amphibole family. Iron is the coloring agent in nephrite. The more iron present, the darker the nephrite will appear. A high iron content causes deep green to black colors while a low iron content results in lighter shades, including the so-called 'mutton fat' jade. Nephrite is found throughout the world, either in situ or in alluvial deposits resulting from weathering. Nephrite is an extremely tough mineral and was originally used in ancient times to fashion tools such as knives, axes and clubs. Nephrite jade is abundant worldwide. It is a metamorphic product caused by the alteration of serpentinites. One of the earliest and most important sources of Nephrite to the Chinese was along the northern slopes of the Kuen Lun Mountains in eastern Turkestan. The Chinese have revered the nephrite variety of jade more than any other gem. For over 3000 years, flat discs, termed pi, were carved from nephrite to worship heaven. Jade was equally important after death, with pieces placed in the deceased's mouth to serve as a heart in the afterlife. Two gem minerals are both considered to be jade, jadeite and nephrite. 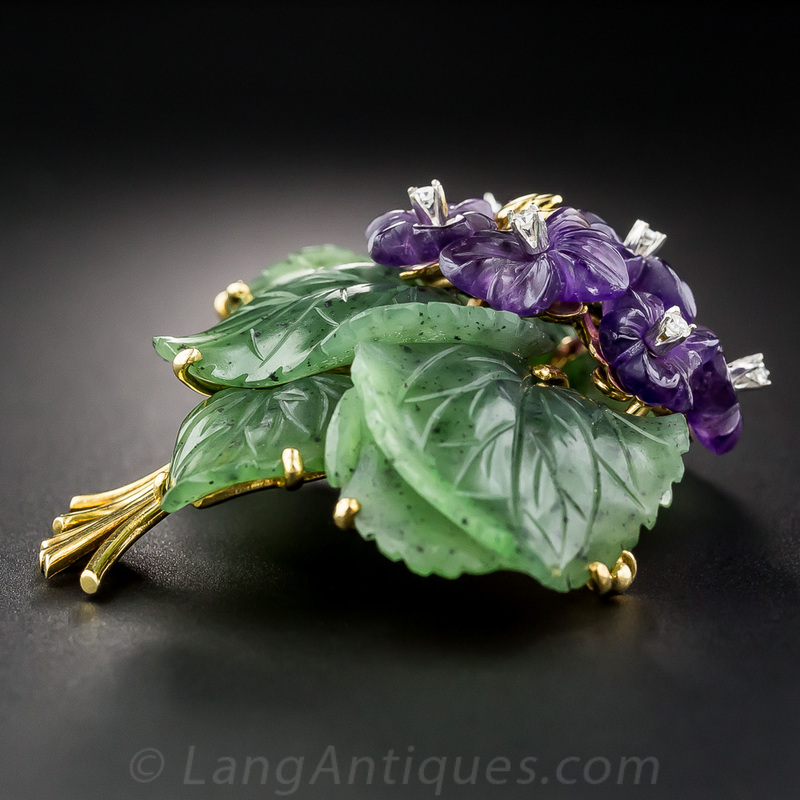 Jadeite was not discovered in Asia until the mid 1800s in Burma. The source of the nephrite used by the Maoris in New Zealand was found in situ in the province of Otago. During the California Gold Rush, Chinese placer miners recognized that there were boulders of nephrite in California Rivers. Many of these boulders were shipped back to China. Nephrite fosters emotional balance and stability. It aids in all matters of the heart. Nephrite is a protective stone, especially beneficial to children, as it guards against illness and brings about "psychic" protection. Physically, nephrite jade is used in the crystal healing of problems with the physical heart and kidneys. Nephrite jade is a stone of the heart chakra.